We believe everyone deserves an equal opportunity to succeed in life. Education is the key that unlocks the door to success. Diversif-I Education Group is an education non-profit organization offering courses that not only promote diversity and inclusion in all areas, but our courses equip learners by offering a variety of classes, workshops, and seminars both in class and online that help youth and adults to adequately learn, then apply what they have learned to fight challenges within our communities both local and abroad. In 2003 Dene′ Graduated From Sacramento State University With A Bachelor Of Arts Degree In Organizational Communication And Began Her Career As An Insurance Professional In 2004. Since That Time, Dene′ Has Been Afforded Many Opportunities To Develop Not Only Herself, But To Develop Others As Well In The Form Of Training And Education. In 2010, Dene′ Founded Her First Company, Djs Marketing & Business Solutions, A Premier Business Consulting Firm. In October 2012, Dene′ Graduated With Her Masters Of Arts Degree In Business Administration. In January 2013, Dene′ Was Hired As An Associate Professor At Word Of Life Theological Seminary And Not Long After, Dene′ Was Promoted To Dean Of Education At The Word Of Life Theological Seminary. 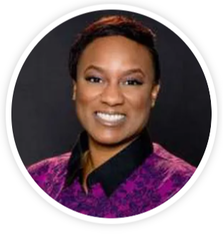 In 2016, Dene′ Completed Her Coursework For Her Doctoral Degree In Organizational Leadership & Development At Grand Canyon University And Is Currently In The Process Of Completing Her Dissertation. Our staff of highly qualified professional educators and support personnel is committed to providing our students with many learning opportunities. We look forward to a very positive and productive year together!